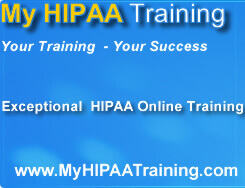 A complete HIPAA Business Associate Agreement, All New and Fully Updated for the HIPAA Final Rule. Major changes to Covered Entity/Business Associate relationships were enacted in the "Omnibus" Final Rule. This editable "model" Business Associate Agreement contains all the standard BA contract terms, plus all the new requirements imposed by the Final Rule. 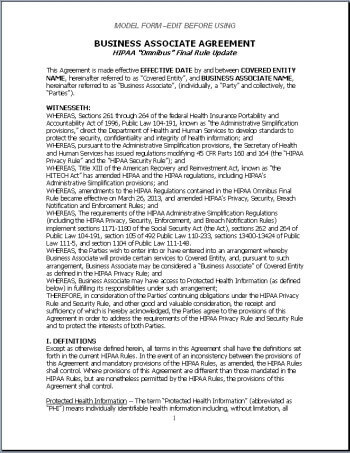 We've also included several optional clauses (clearly marked) in this Agreement not required by HIPAA, but recommended by our HIPAA experts for a clearer, more effective CE/BA relationship. These additional clauses can easily be edited out, or left in if they are appropriate for you. 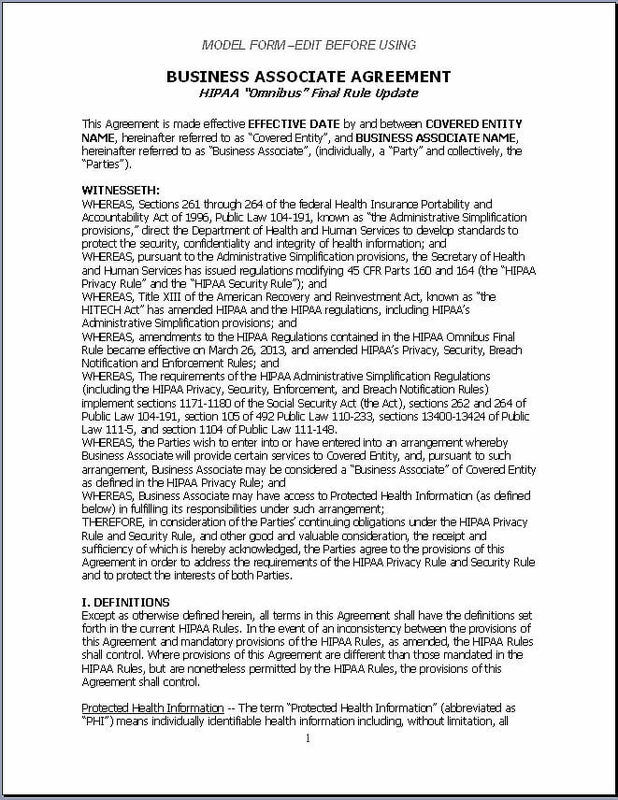 A HIPAA-compliant BA Agreement is mandatory for all Covered Entity/Business Associate relationships. This critical document sets the "ground rules" for CE/BA relationships, and sets the boundaries for permissible uses and disclosures of Protected Health Information (PHI), breach notifications, PHI disposal and destruction, and many other operating and policy areas. This model Business Associate Agreement is perfect for both Covered Entities and Business Associates. HIPAA permits either Covered Entities (CEs) or Business Associates (BAs) to offer the BA Agreement used in their relationship, as long as both parties agree to all terms and sign off on the contract. 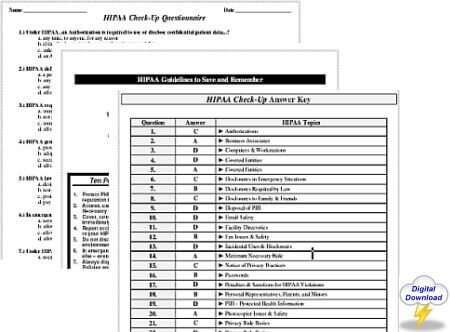 Our all-new model BA Agreement includes an exclusive 6-page NOTES section that summarizes all the important changes to Business Associate duties and obligations contained in the HIPAA Final Rule. From the experts at HIPAA Group to you, this essential guidance will help make your Covered Entity/Business Associate relationships clearer and easier to manage. Most CE/BA relationships have unique needs that must be considered - and sometimes negotiated - before a Business Associate Agreement can be implemented. This model BA Agreement allows for all such elements to be accounted for and included with a minimum of effort and cost. Available as an instant digital download, this model Business Associate Agreement is six (6) single-spaced, 8.5" x 11" pages in length and requires editing before use. This product is delivered electronically in Microsoft Word format.